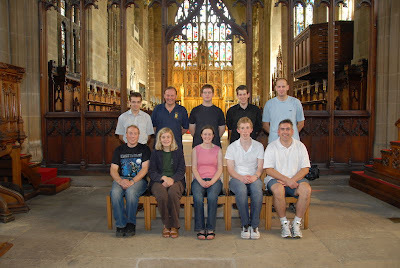 The W. W. Worthington Memorial Trophy was contested for the 26th time on Saturday, 15th September at the church of St. Mary the Virgin, Nottingham. The event had been well publicised in the city, with a short report in the Evening Post and a snippet on Radio Nottingham. David Hull and Robin Hall had kindly agreed to judge the competition. 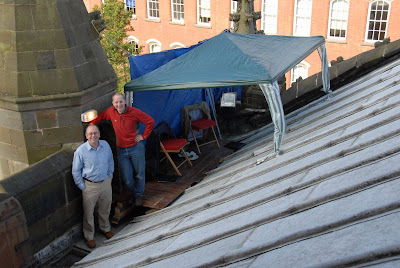 After much discussion, the organisers had placed the judges on the roof of the north transept, as this was the place that the bells sounded the clearest. Every eventuality was considered, resulting in a strange structure nestled in the corner of the roof; a combination of doors, a gazebo and tarpaulin. At 12.45pm the draw took place and despite letting the visiting teams pick from the hat before them, the home team drew the unenviable slot of ringing first. Each team had just 30 minutes, to have a quick practice and adjust ropes, followed by the test piece, a full course of Lincolnshire Royal. A challenge that demanded good time management on a 36cwt 10! This year only the method itself was to be marked, with results given as a percentage of good rows. Tea, coffee, biscuits and cakes were served in the church, and for those who fancied something a little stronger the pub was just across the way. Everything ran smoothly and within two hours all four teams had completed their ringing; and in the nick of time too, as the judges’ safehouse was not faring too well as the wind picked up. At 4pm thanks were given to the organisers and the judges before the results were delivered. 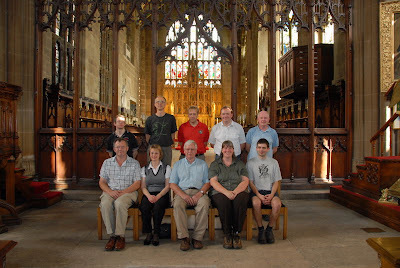 David Hull noted that the standard of ringing was high and that there were few method mistakes over the course of the afternoon; the troublesome five-pull dodges making Lincolnshire Royal a challenging test piece. Robin Hall then reported on the individual bands, notably commenting on one band’s tactic of trying to win the competition by “ringing one bell after the next”! The results and peal speeds were given for each band, with Robin placing Birmingham fifth, following their late withdrawal. Nottingham came out on top, retaining the trophy. 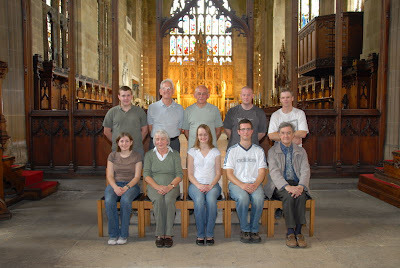 Anthony P Cotton, Rachael L Peckham, David J Marshall, Pamela J Timms, Simon C Melen, Christian M Peckham, Roy A Meads, Timothy J Peverett, Richard L Taylor, John E Heaton. 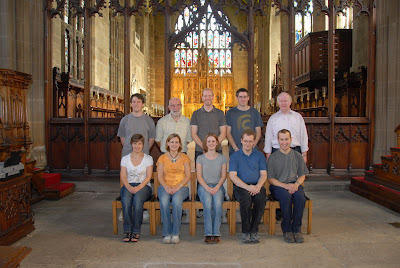 Ian D Thompson, Richard J Angrave, Jeanette Lord, Ruth M Border, Claire Kimpton, Benedict Kimpton, Geoffrey Pratt, Michael Angrave, Andrew B J Lansberry, William R Haynes. David Hull & Robin Hall take up their positions. 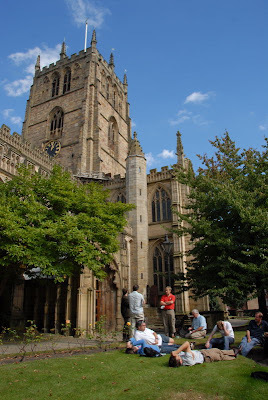 Ringers relaxing in the sun, outside St Mary’s Nottingham, listening to the striking competition. 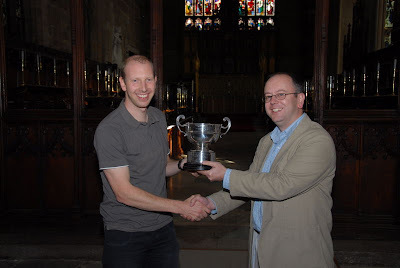 Alistair Smith collecting the cup from David Hull.